The decision to allow off-duty officers in uniform to march breaks with both national trends and previous local policy. St. John's Pride will allow police officers in uniform in its parade this year, reversing an earlier decision to ban them, the organization announced Thursday. "We're happy to accept them," said Paul Combden, co-chair of St. John's Pride. "I still think it's safe to have them there, especially in this province." 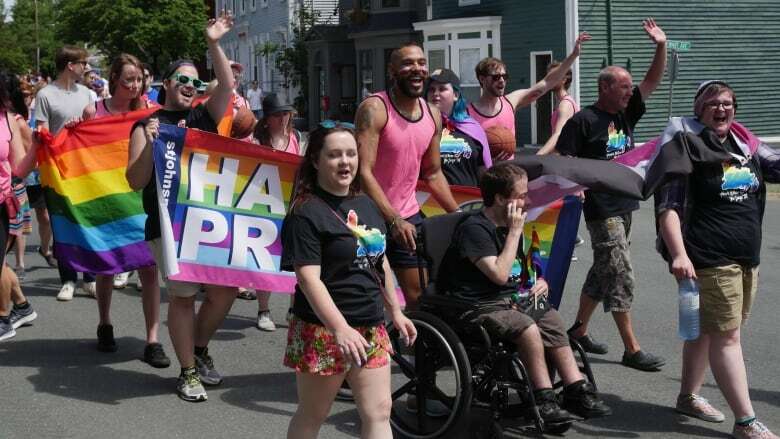 The decision sets St. John's Pride apart from several other Pride organizations across the country that have decided to limit police involvement or ban uniformed officers from their parades. 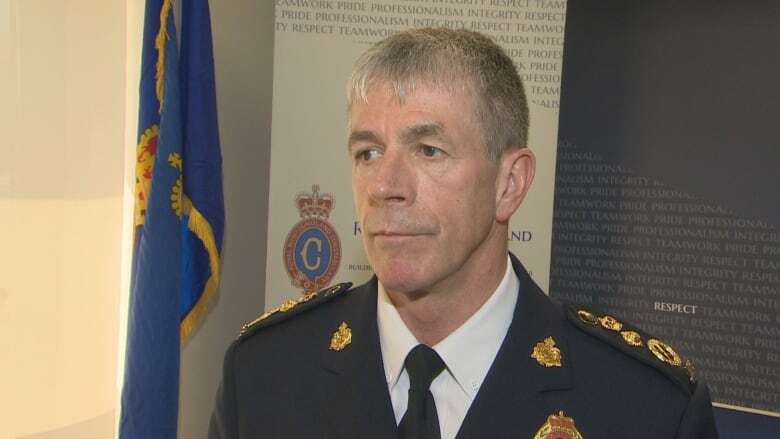 The chief of the Royal Newfoundland Constabulary said he looks forward to marching in the parade himself this summer. "There's absolutely no friction between us and Pride," said Joe Boland. "Not everybody that goes to the Pride parade has the kind of relationship with police that the Pride committee has now. I'm glad they offered for us to come and wear uniform, but I'm comfortable with officers that chose not to wear uniform." This year's Pride event in St. John's will run from July 15 to 21, and the parade will take place on the first day. The students of the Indian River High School Gender and Sexuality Alliance from Springdale will serve as the parade's grand marshalls. "I think it's good that we reach out to the people outside of St. John's, people in rural communities, to get involved as well," Combden said. "We want to show them our support, that everyone here in the community is here to support them and it's good that they're still holding strong and they're still going forward." The switch in the relationship between St. John's Pride and local police forces comes after two years of back and forth on the issue. In July 2016, the Pride committee asked off-duty officers not to march in the annual parade while in uniform, suggesting that Royal Newfoundland Constabulary officers could instead represent their unit by wearing T-shirts or carrying banners. The RNC honoured the request. The following year, the committee reversed the decision. In March, the entire Pride board resigned after one member said uniformed RNC officers, as well as the current Liberal Party, should not be allowed to take part in the parade before issuing a formal apology for arrests at the Village Mall in 1993 related to alleged sexual activity in public washrooms. "I didn't agree with that at all. Being in law enforcement myself, obviously I would not support that decision," said Combden, who works with the Department of Justice. "I think everyone else resigned based on how this individual went and done this behind everyone's back." The inclusion of uniformed officers in Pride events has been addressed by Pride organizations across the country in recent years. Pride Toronto, which runs the city's month-long Pride events, asked the city's police force to remove its application to march in this year's parade, citing damage to the relationship between police and the LGBTQ community over the handling of the Bruce McArthur case. 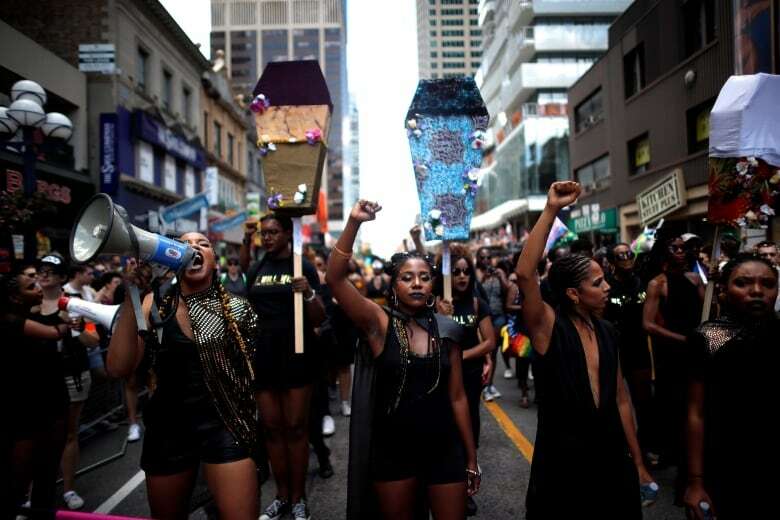 Toronto police did not march in uniform in the 2017 Pride parade in Toronto, a decision made in response to demands from Black Lives Matter activists who protested during the 2016 parade. Boland acknowledged that for some members of the LGBTQ and wider community, trust in police forces may not come easily. But he emphasized the good relationship he says his particular force has with St. John's Pride. "We would have showed up whatever way they wanted us to show up, to be honest with you," he said. "If they would like to see us in uniform we'll come in uniform, and if they would rather that we didn't wear uniform then that's the way we'll dress." The theme for St. John's Pride 2018 is Together, which the organization says is exemplified by its inclusion of uniformed officers and its selection of students from Springdale as the parade's grand marshalls. 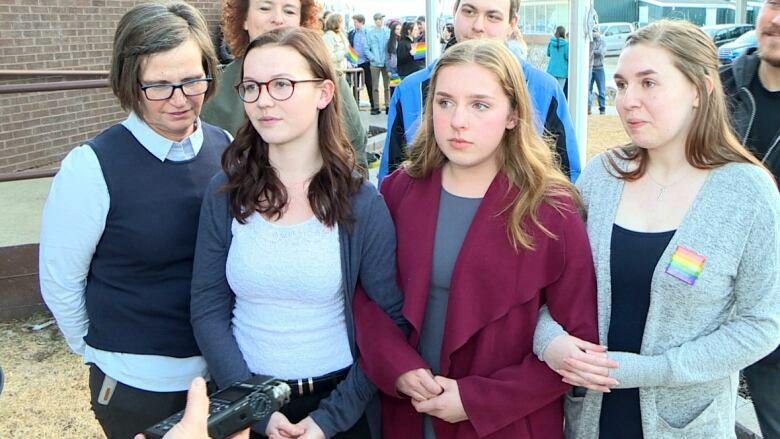 "Our board was very impressed with this fine group of young people for standing up for themselves and fellow students," St. John's Pride said in a release. "These young people exemplify the pride movement and we are honoured to have them leading this year's Pride parade." The Springdale students, who received national attention in their fight for a rainbow crosswalk to be painted near their school, said they are humbled and honoured by their selection. "We are encouraged by the love and support our group has received over the past few months," the students said in a statement. "We hope it motivates others to build a sense of belonging, pride and inclusion in their own communities — recognizing not only the struggles but the contributions of LGBTQ2S+ persons."